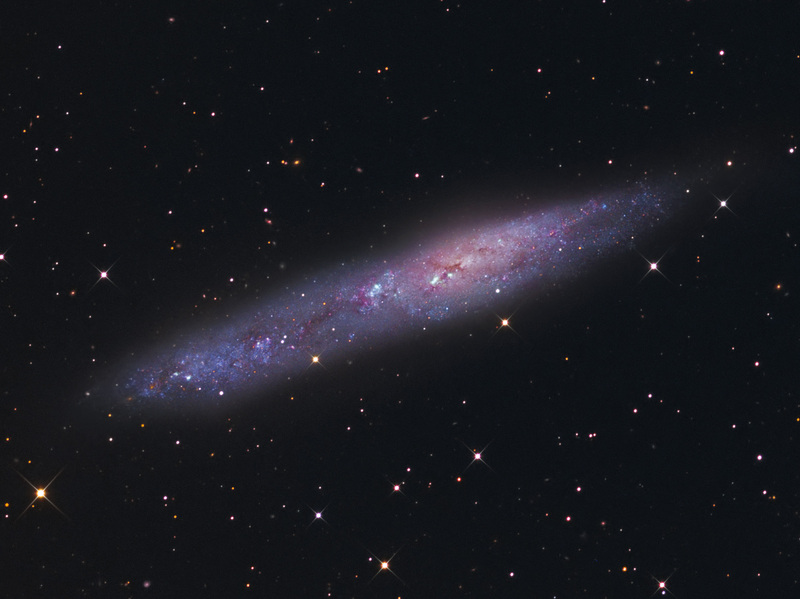 NGC 55 is a Magellanic type barred spiral galaxy (type SB(s)m),located about 7 million light-years away in the constellation Sculptor. Along with its neighbor NGC 300, it is one the closest galaxies to the Local Group, probably lying between us and the Sculptor Group. NGC 55 and the spiral galaxy NGC 300 have traditionally been identified as members of the Sculptor Group, a nearby group of galaxies in the constellation of the same name. 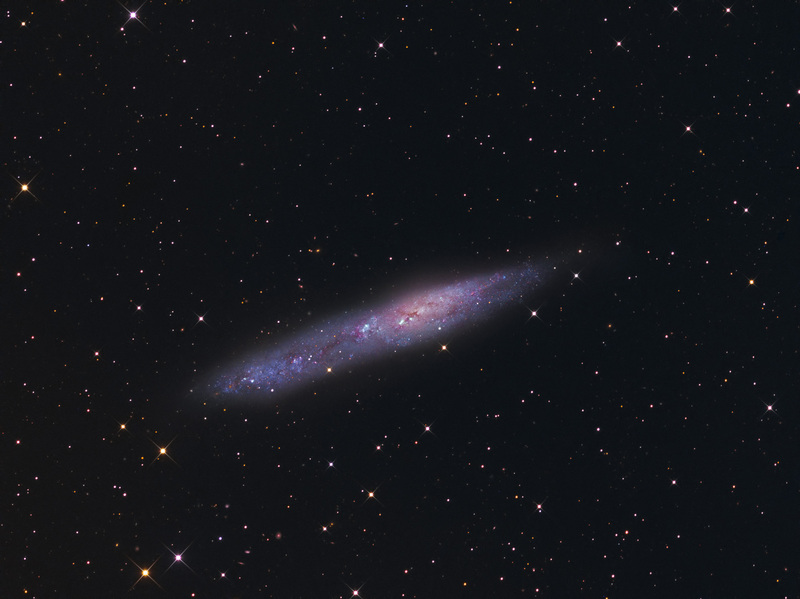 However, recent distance measurements indicate that the two galaxies actually lie in the foreground.It is likely that NGC 55 and NGC 300 form a gravitationally bound pair.